Summer fun on the trampoline can be enjoyed in 5 minute sessions for £1.30 per person. 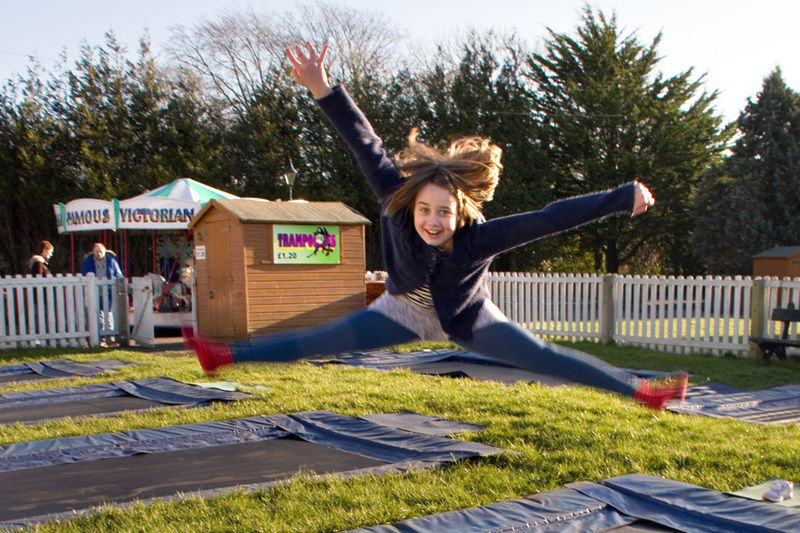 The trampolines are open during the summer 10 AM till 5 PM, weather permitting. The sunken design of the trampolines means children can access the trampoline at ground level with no need for stairs or a ladder. There are many fun things for children to do in Happy Mount Park all year round! During the summertime come to the park to enjoy the playgrounds, indoor & outdoor, the beautiful scenery, concerts in the park, competitions, special events and delicious refreshments. Tasty meals and light snacks are available all year round at the café in Happy Mount Park, and Lewis’s Ice Cream is sold all year round!